Worksheets on addition & subtraction, place value, clock, measuring, money, multiplication, division, geometry, fractions, decimals, ratios, percent, integers, etc. 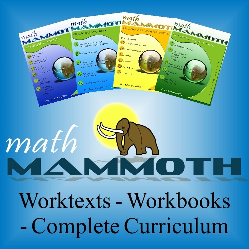 Worksheets on Measuring; Multiplication & Division, Numbers & Operations; Fractions; Decimals; Geometry; Integers; Ratio; Proportion & Percent; Statistics; etc. Worksheets that emphasize understanding of concepts and practice computation, with variable word problems. Topics include Addition; Subtraction; Place Value; Multiplication; Measuring; Division; Geometry; Fractions and Decimals; Graphs; etc. Sample books are mastery-oriented and organized by topics (such as place value, multiplication, or geometry) and focused on conceputal understanding.